After Stipe Miocic knocked out Alistair Overeem in the very firs round of their main event Heavyweight title fight at last night’s (Sat., Sept. 10, 2016) UFC 203 pay-per-view (PPV) event in Cleveland, Ohio (see it again here), “The Reem” took to the mic inside the Octagon to claim the champ tapped to his guillotine choke earlier in the round. To give Alistair a chance to prove his claim, Joe Rogan called for an instant replay, only to disprove Overeem, as it was crystal clear a tap never occurred. All the Dutch striker could do was watch in silence, as he had no visible proof to back up his claims. 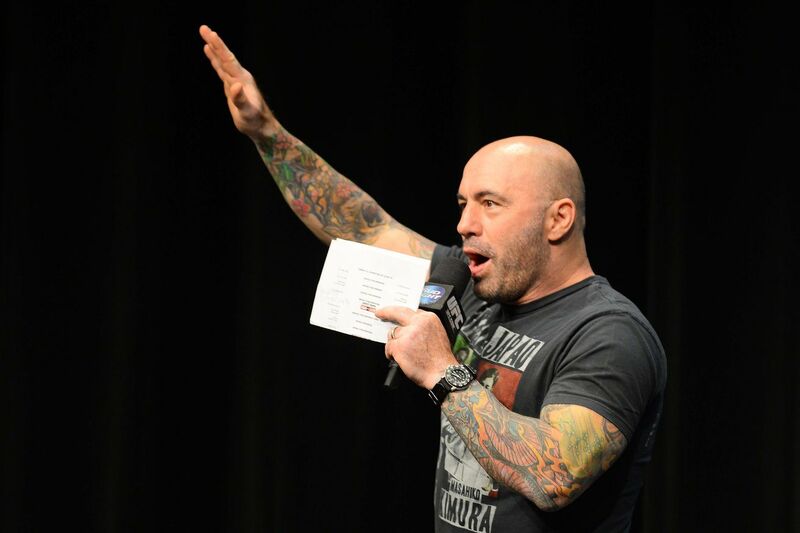 But, according to Rogan’s recent tweets, it was very clear that Alistair hadn’t quite shaken the cobwebs of the knockout, and his perception of reality and memory was severely impaired during his speech. That’s why the longtime color commentator has asked UFC to stop interview fighters inside the Octagon who were just on the wrong end of a knockout. If you’ve ever talked to a friend who has been KO’ed their perception of reality can be drastically off & their memory is severely impaired. It was a very awkward moment to say the least. On his end, Miocic denied even coming close to tapping as the video suggests. So, it could simply be that Overeem’s wasn’t exactly the best state of mind when making his claim.